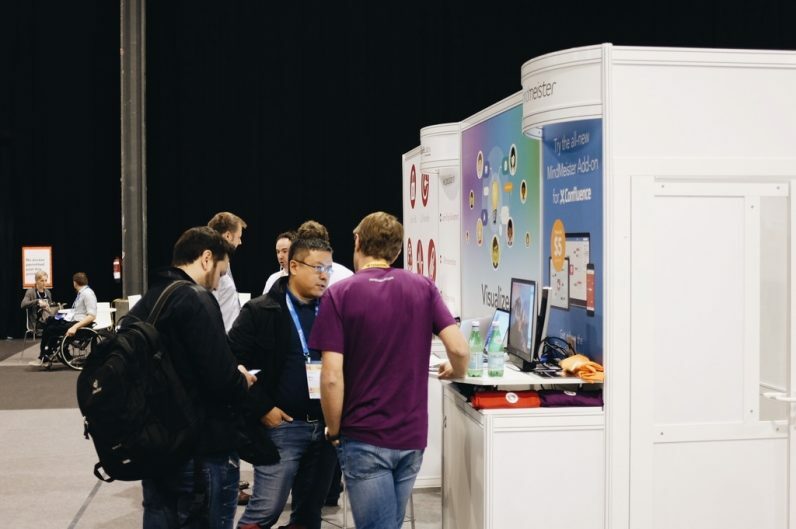 Trade shows aren’t usually the place you’ll find SaaS companies like ours. We sell products predominantly marketed at small to medium businesses, particularly other SaaS companies. We make the vast majority of these sales over the internet – through our website, which users find organically, or via PPC campaigns, product review sites and other referrals. The price of our tools makes them suitable for companies that don’t necessarily have huge budgets. But this also means that spending a big chunk of our budget on direct, in-person sales, doesn’t make a lot of sense. The threat of a low ROI is why we hadn’t chosen to attend a trade show before. 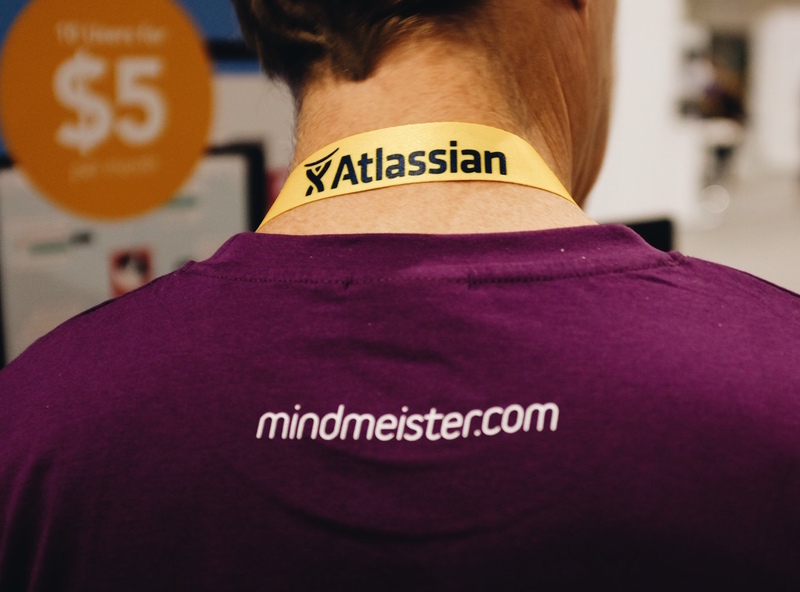 However, as our 2017 aim is to focus more on business and enterprise, and we have some exciting developments coming up between MindMeister and Atlassian’s Confluence, we decided to attend Atlassian Summit Barcelona. Atlassian Summit provided a bunch of great opportunities to meet with other SaaS companies. We were able to set up new plans for integrations, brainstorm cross-marketing ideas and plan joint webinar opportunities with other creative SaaS companies operating in similar spaces. For example, we picked the brains of Atlassian Marketplace heroes like LucidChart, SmartDraw, and Draw.io. We were also able to move existing plans forward, like an upcoming launch we have planned with Microsoft Teams, and improvements to our MindMeister integration with Confluence. These conversations were made a whole lot quicker by having the person you need directly in front of you. We were able to establish realistic aims and timelines within half the time it can take to get an idea rolling over email. This was a huge advantage of the Summit – bringing together a bunch of people we’d love to collaborate with, and without needing that 25th hour in the day to send another ‘apologies for my late reply’ message. We also had the opportunity to watch the keynote speech of Scott Farquhar, one of Atlassian’s founders and Co-CEO – a pretty wealthy guy after last year’s IPO. It was amusing to see how Steve Jobs’ style of keynote addresses has permeated the industry, and interesting to learn about Atlassian’s upcoming news. The long-overdue redesign of its most popular apps, for example, has certainly made JIRA and Confluence a lot easier to look at – and presumably to use too. 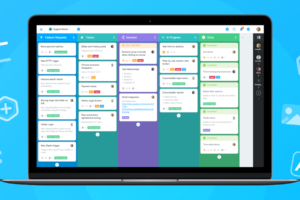 Personally, I found Michael Pryor’s introduction of Trello particularly intriguing, as we operate in a very similar space with our app, MeisterTask. Last but not least, we, of course, gathered some important sales insights. We spoke with companies from all over the world who could recognize a real use case for MindMeister and/or MeisterTask in their workplace. In addition to the vanity value, this was great for us as we were able to identify some target verticals we hadn’t yet considered – there was a lot of interest from government bodies for example and from industries that we’re yet to reach out to, such as aviation and media groups, particularly in Europe. 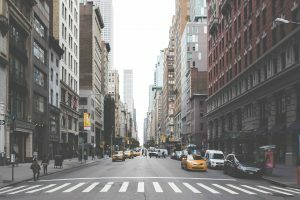 Having focused predominantly on the SaaS and start-up market in the U.S., this was eye-opening for us. However, it turned out that some of these new verticals also presented new challenges for us. I’ll come to that now. Data leaks left a bit of a gray cloud (mind the pun) over the Summit, particularly for those of us offering cloud-based SaaS solutions. HipChat’s leak came up quite a few times, so as soon as we mentioned that both MindMeister and MeisterTask are cloud-based, this seemed to place quite a significant spanner in the works for some of the bigger enterprises. It goes without saying that we think cloud-based solutions are the future of software. When we speak with our current customers, we hear over and over that the main benefit of our tools is bringing teams together, in real-time. Whether they’re located in the same office, collaborating on a shared plan, or working on a project with colleagues on the other side of the world, the fact that our tools are cloud-based is key. For these teams, our product/market fit is the ability to work wherever, whenever and still attain an up-to-date overview of project plans and task progression. All the benefits of cloud-based software – ubiquitous access, simple integration with other tools, the fact that they’re always up-to-date and largely bug-free, and finally the very low price tag – are countered by one disadvantage: a slightly higher risk of getting hacked. Mind you, no data store is completely safe these days, not even behind corporate firewalls, but they do of course make it a bit harder for malicious intruders. And according to our conversations, this small extra layer of security is still worth hundreds of thousand of dollars to companies such as Airbus, Volkswagen, or Panasonic. 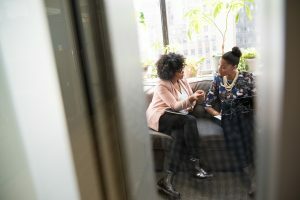 For the people we chatted with at these firms, while they could see huge potential in improving their workflows with our products, using cloud-based tools was simply a no-go policy at their companies. They also expected these policies to not change anytime soon. This posed a new question for us: For clients like these, do we want to adapt our tools to enable MindMeister and MeisterTask to work locally via company servers, too? It would be a lot of work and likely mean the establishment of a whole separate business unit within MeisterLabs, dedicated to running a specialized ‘Enterprise’ track. This is a conversation we’ll need to have within MeisterLabs before making any commitments, but I’ll make sure to write about our decision in an upcoming post. Feel free to share any thoughts you have on the cloud vs. server debate in the comments and in the meantime, I’ll get back to the conference. So the overheads totaled at €15,000. Our MindMeister Business rate, which is the highest-level service we provide, costs €150 per year, per user. 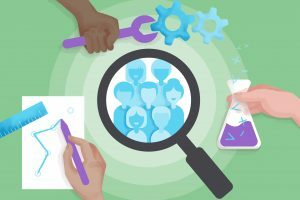 In order to achieve a good ROI, we would need to be selling to big teams. To an extent, this seemed possible – companies who expressed interest at the trade show had team sizes of 500-10,000 employees. 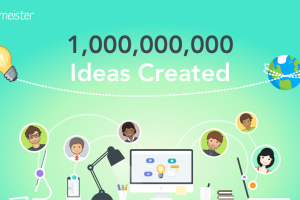 Setting up any one of these enterprises with MindMeister Business would’ve far surpassed our overheads. However, the cloud-based issue prevailed and until we have a clearer idea about whether we can provide a server-based service for these clients, our true ROI from the Summit will be unknown. Was it still worth our while? 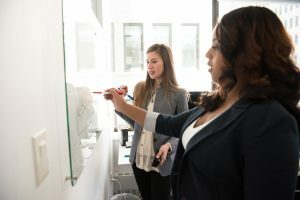 Even if the sales leads won’t generate enough revenue to outweigh the costs – and as mentioned, the particularly profitable ones will require a significant amount of work – there is always the element of chance. You can never tell what will come out of any of the serendipitous encounters we had with other companies at the event, or if the idea you had while chatting with a prospect will spark your next great feature.